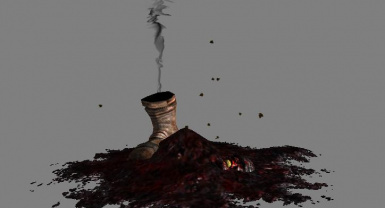 THIRTY TWO new critical kill deaths! 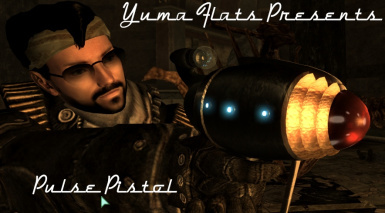 MANY new weapons, new muzzleflashes, projectiles, and more! If you don't use energy weps, you WILL, and if you already do, you'll need to change your trousers. Cipscis = Script assistance and too many other things to fill this readme with. 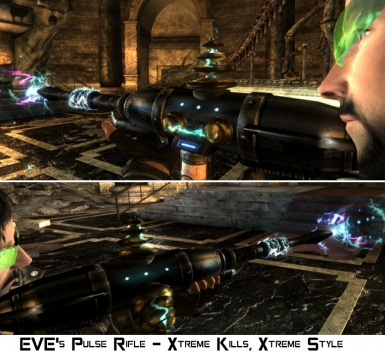 EVE couldn't have reached this level of awesomeness without ya! HugePinball = Providing me with the best mod testing utility, loads of suggestions, fresh baked cookies, making EVE videos, and more. LordSimpson = His eagerness. oh his testing too. and support. 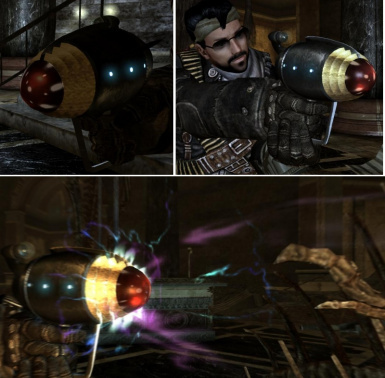 Ariel Chai = the great plasma gun resorce model! Lord Inquisitor = for helping to smooth out the blockish parts on my PT900, and all other n00bish models I make, and so much more. You can't imagine how many things he's contributed to EVE. too many to list. so why don't you give him a Kudos too if you like EVE. 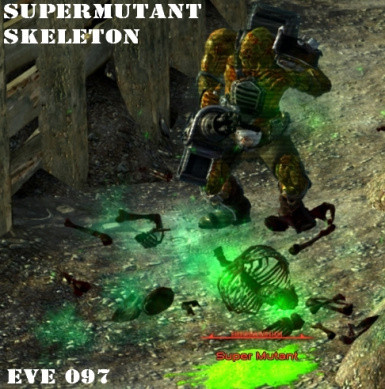 SkyKappa = for TONS of things in EVE 096, and 097... and beyond. Still trying to implement all his wonderful contributions. 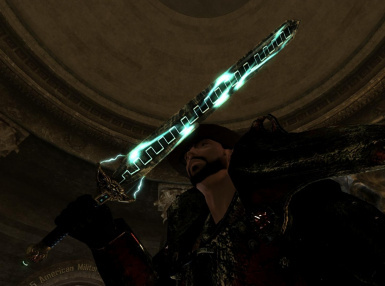 The modding community will miss you, and isn't so bright without you around. BenWah for the 0.97 easier install repack, texture optimization, ongoing mod & doc maintenance. Hairylegs222 (Tommy) for his Paradox merger of the EVE.esm plugin. 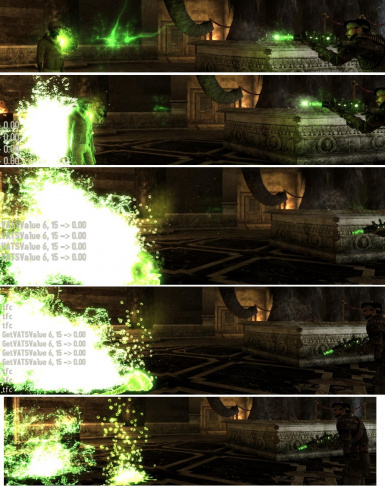 * Fixed 1 identical to master record and added LOOT compatible version SNAM info in plugin. spiked gloves fix, edited mesh in nifskope so it no longer sticks to armor. 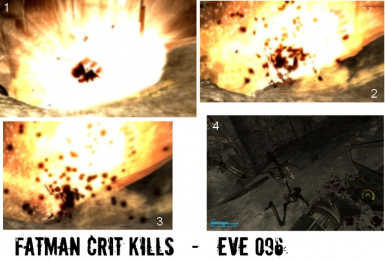 ** USE ~ Player.modav critchance 100 when testing EVE 097!! 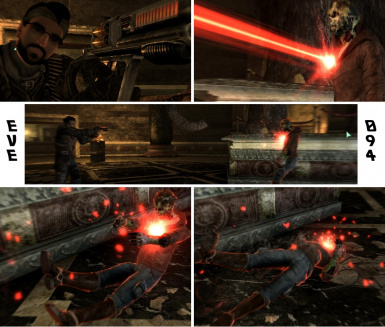 * Raven Rock level 2 fix, removing Mr. Gutsy bot that caused crash. * Made installs easier and less error prone by packing 5 archives into 1. * Pipino's Ordenador reduced texture size without affecting quality, saving 12 megabytes. 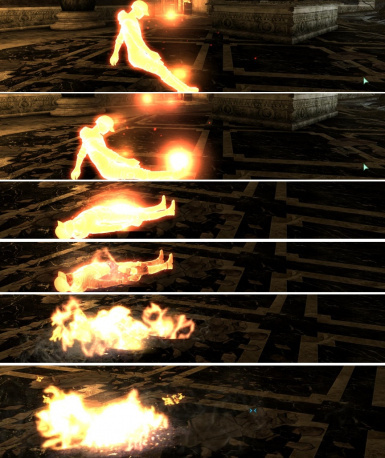 * Major flamer update with new crit effects, mesh and textures. 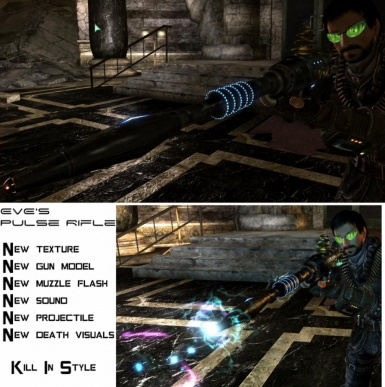 * There are 2 new plasma deaths and one new laser death. 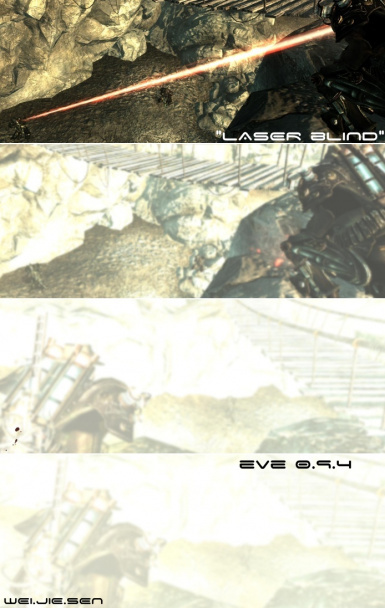 * General tweaks made to all (yes, ALL) laser/plasma/pulse deaths for visual goodness! 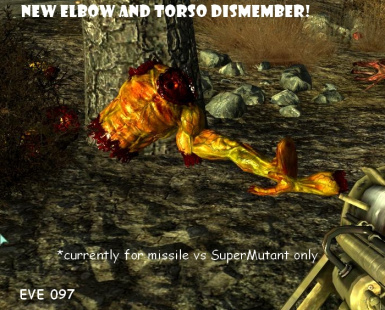 * Supermutant can be dismembered from the TORSO via missile crit kill! 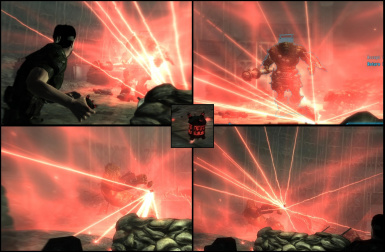 * Laser Cannon penetrates through multiple enemies! 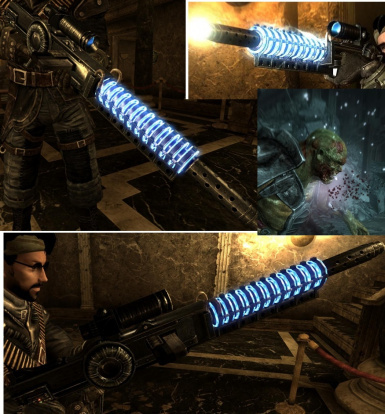 * New projectile for Alien blaster and Firelance. 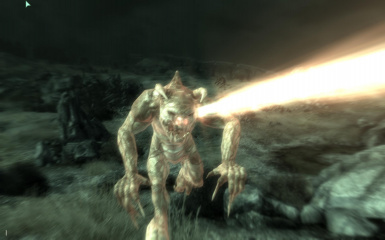 * Black rising smolder from strong laser impacts no longer "gets sucked back down". Smoke now fades to disappear. * Many 3D sound fixes. 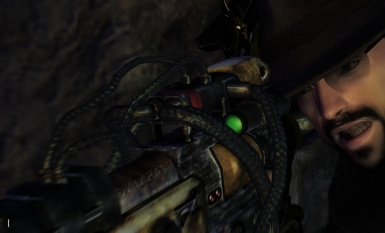 Robot short-circuit, Laser Gatling. 3D radius' tweaked on many custom sounds so they no longer sound like they are "right next to you". 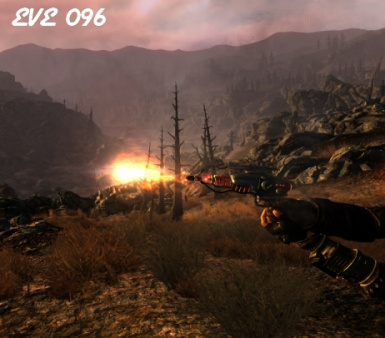 * PT900 chance to appear in Enclave Encampments when the Enclave arrive in the wasteland. 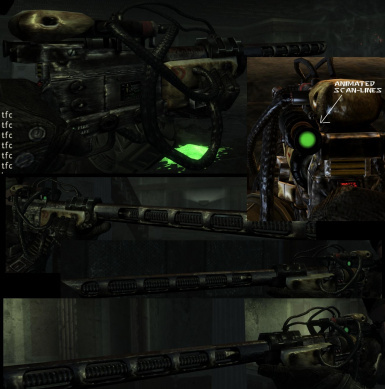 * Enclave Companion "Lieutenant Gutsy" introduced. Lieutenant Gutsy has a Plasma Thrower arm, a Micro-missle launching arm, and can shoot lasers from his eyes. 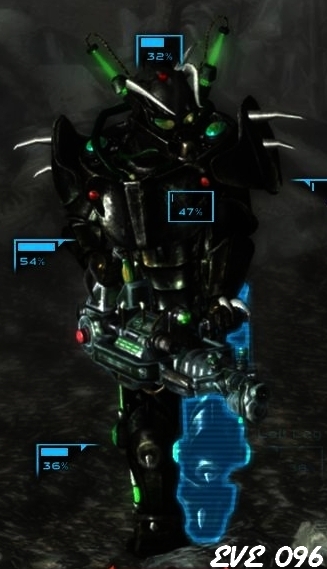 oh and he has a Riot-Shield which is durable and can take lots of damage and protect his hull and thruster. 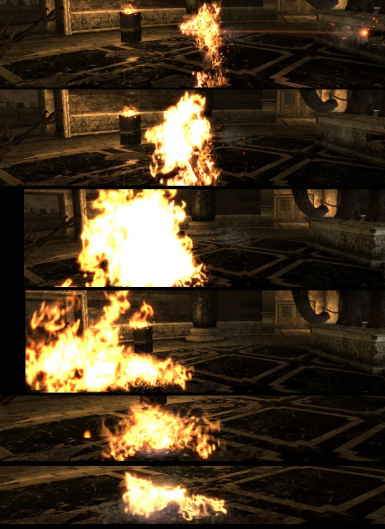 * Fireant's Fire is unique. 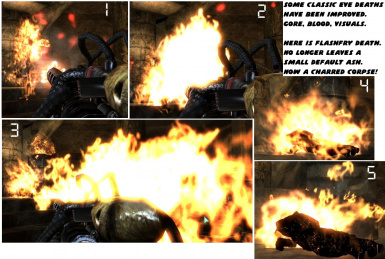 Now has a more bionic looking fire, with slight liquid you can notice at the mouth. 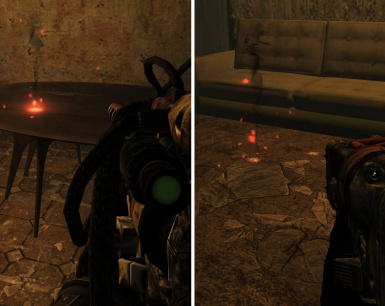 More drops/splats spray out too, and the fire is more sperratic and random pattern than the Flamer weapon. * Ant Queen's acid spit projectile leaves a trail. It's impact has been improved to look more like acid. 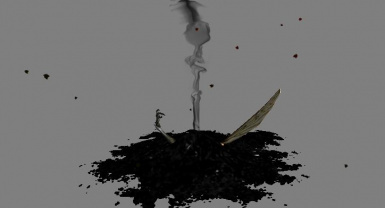 As well as being more deadly and if an enemy is struck by the queen's acid spid, the victim will "burn" with acidic wisps. 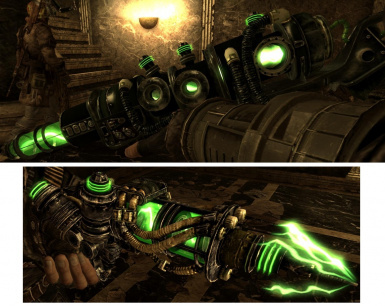 * HeatBlaster and Unique-unique Edison's Firefly have been added. Backstory located at the museum of tech. 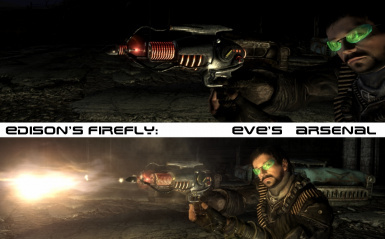 Both weapon's are fire based. 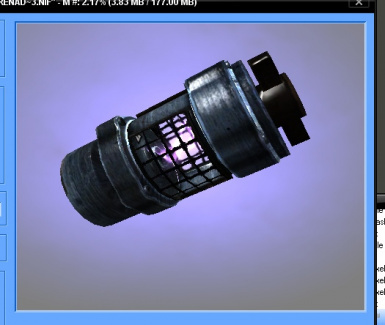 Burnmaster, Firefly, and other flame based weapons are now able to set off "gas traps" as well as ignite Harold and also get a bonus if you have the Pyromaniac perk. 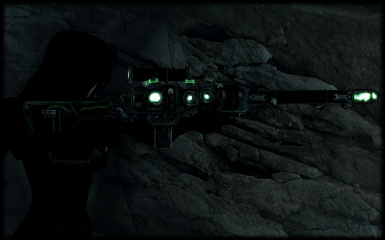 * Enforcer Gauntlet weapon added. Visual FX and crit kills with it. * Enforcer Shades added. Very slim chance to have as loot from a dead Enforcer. 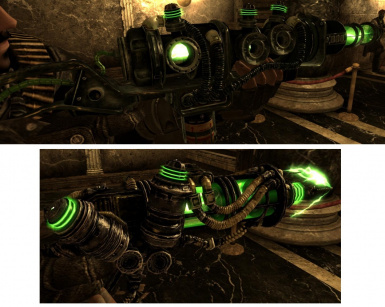 * Pulse Pistol now added to the FO3 wasteland. Found in roughly 12 locations and currently sports 10 critical kill effects to be seen. * Shredder Grenade added. Tech is unique to Outcasts. Can be obtained through Protector Casdin, or found at some Outcast related places. 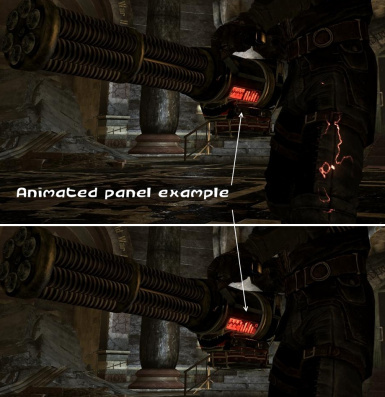 * Source Alpha on shaders and Tangent spaces on meshes updated to help prevent Nvidia's "black square bug" in Fallout3. 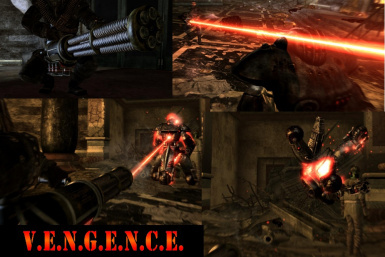 * Vengence is now the H&K L30 Gatling Laser! 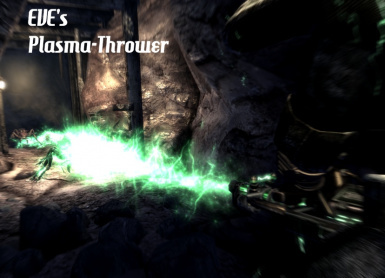 * Lasers and Plasma now have NEW custom impact effects! 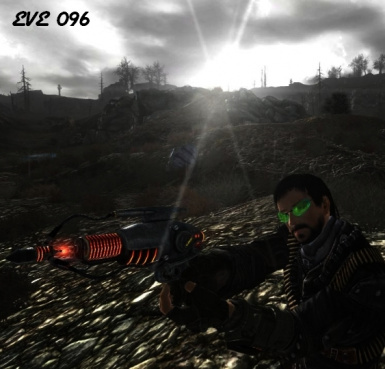 Original EVE (Fallout 3 edition) ported to New Vegas: http://www.megaupload.com/?d=5GSVXVZY Kudos to LucidusCruorem! 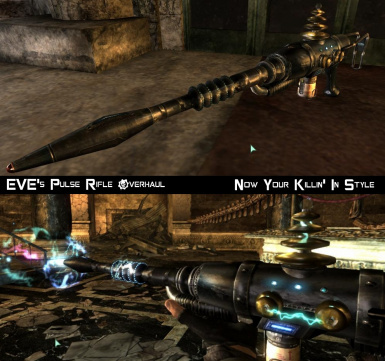 # All "unique" unergy weapon variants are now overhauled "Classic Fallout" weapons! 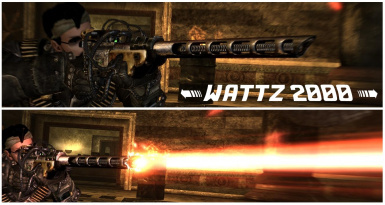 # New mesh Firelance, Vengence, WazerWifle, Protectron's Gaze, and more! 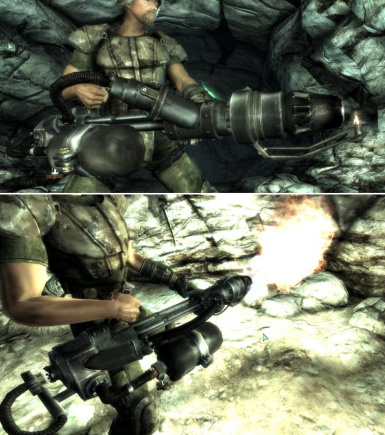 # PT900 (Plasma Thrower) Introduced to FO3! 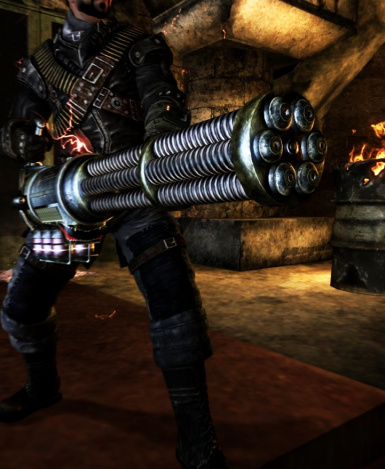 The king of heavy energy weaponry! 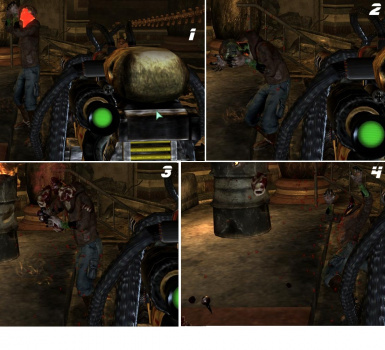 # Shooting dead bodies with an energy wep will have a chance to disintegrate it or cause shader FX. 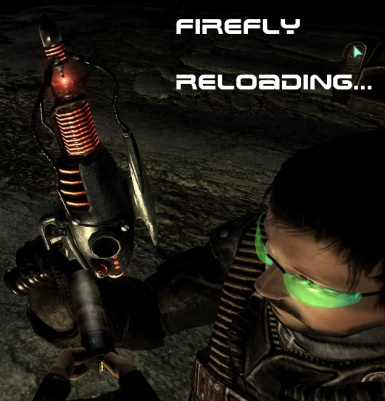 # Firelance will ignite enemies and bodies with a alien-ish blue flames FX. 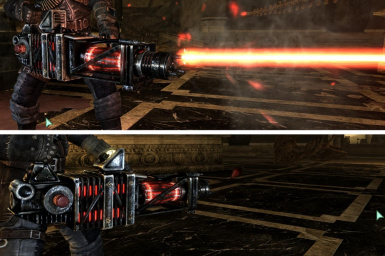 # New custom flamer model with awesome textures and sounds! 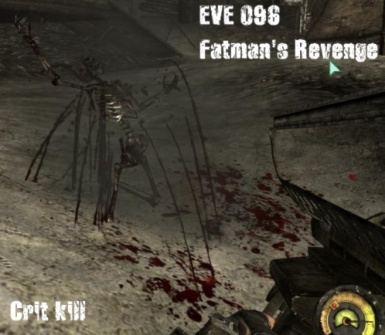 * 32 new custom animated crit kills for laser/plasma/pulse/Fatman. Some are specific to headshots/humans/outdoors. 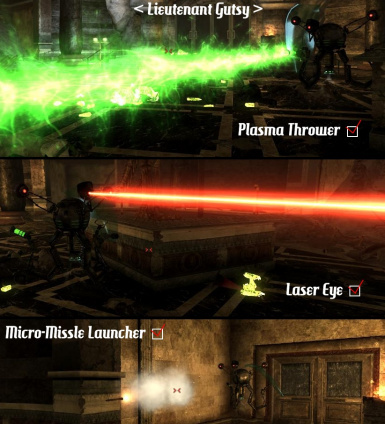 Some laser deaths will ignite the target. 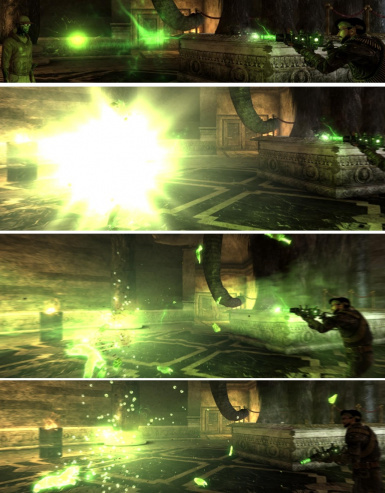 Some plasma deaths will inflict an "melty-wispy" effect. Pulse deaths do everything from implode, to levitate, to atomize, to calling forth the wrath of Atom. 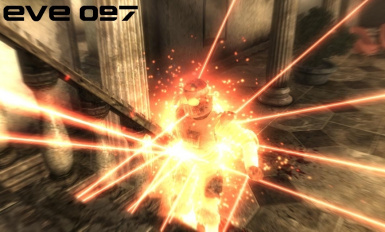 * ALL laser weapons fire beams that are visually appropriate for their strength. 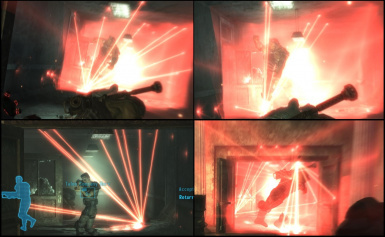 Meaning that weak/quick lasers fire thin very red beams. 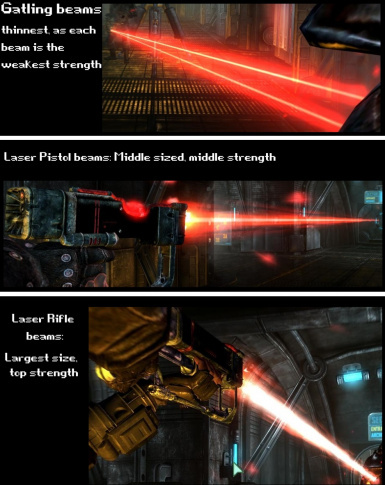 Mid-strength lasers fire mid-sized reddish beams. 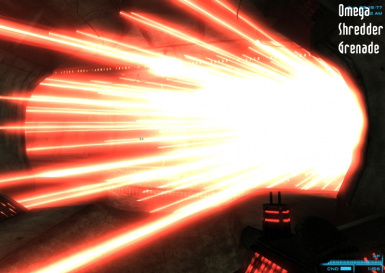 Strong lasers fire an animated red beam with a white-hot core. * ALL laser/plasma/pulse weapons have their own unique "no ammo/clip empty" sound!! 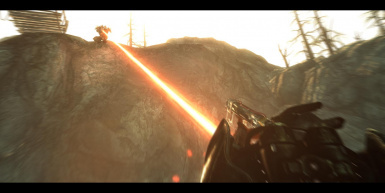 * ALL laser/plasma/pulse weapons have animated impact visuals. 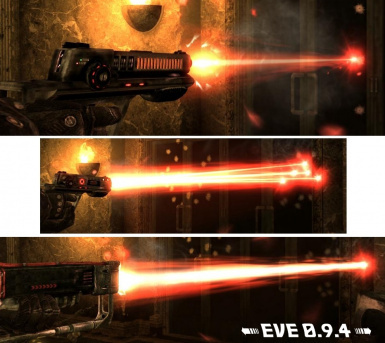 Energy weapons no longer leave an immersion killing "0.1sec generic DukeNukem3D flash." 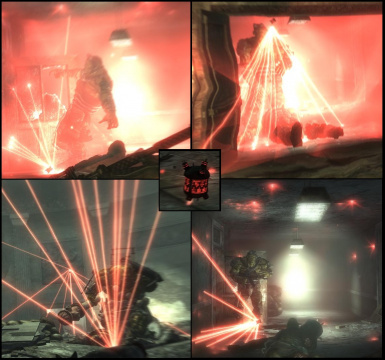 * ALL laser/plasma/pulse weapons have a special visual effect when a non-robot is shot. 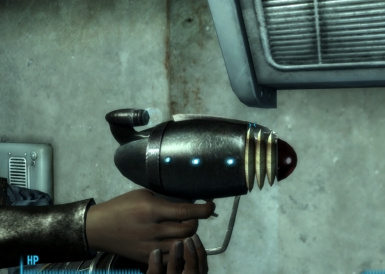 A non-robot victim shot by a laser/plasma wep will emit particles/wisps. 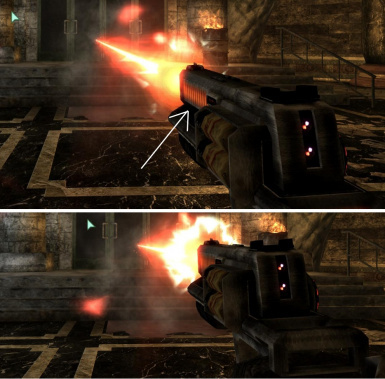 * ALL laser/plasma weapons have a unique visual effect when a robot is shot. 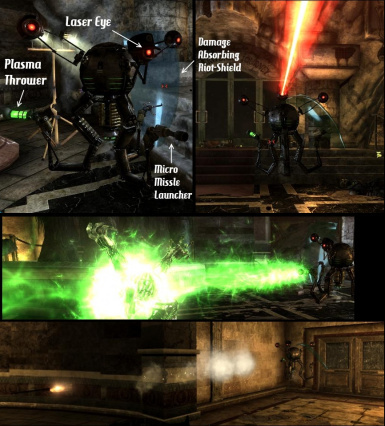 The robot will have a unique short-circuiting sound and visually begin sparking. 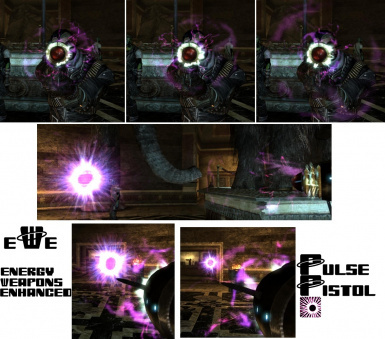 * ALL laser/plasma/pulse Each weapon has its own custom designed muzzleflash. * Laser/Plasma/Pulse have their own unique impact decals. 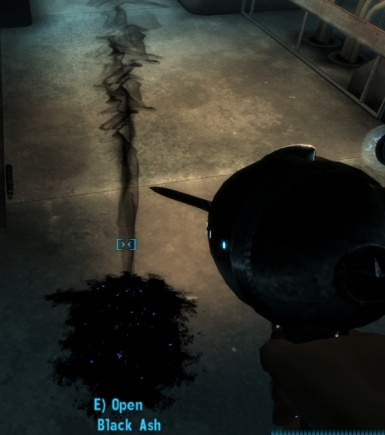 Plasma shots leave a burned hole, lasers leave a super heated spot, and pulse leaves a charred mark. 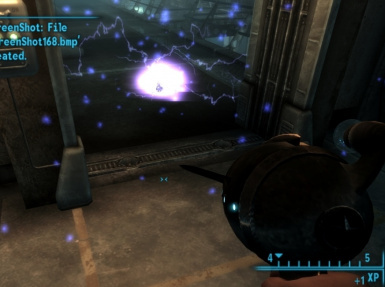 * Plasma Grenade/Mine have a new improved awesome Plasma Explosion. 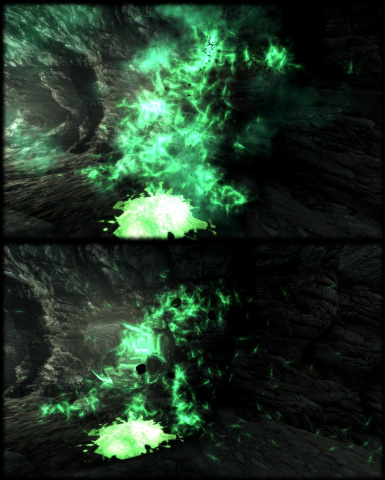 Plasma explosions now show a large shrinking energy orb, and emit a bunch of burning plasma entities. 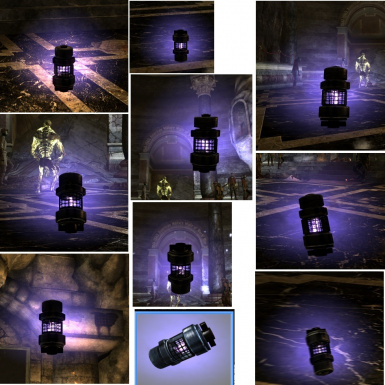 * Laser Gatlings backpack pulses with energy. 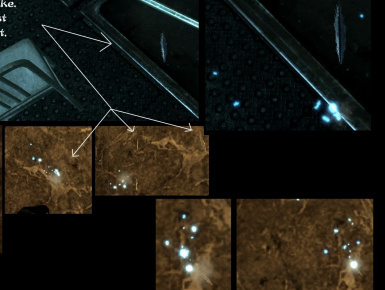 Like most weapon meshes in EVE, the "glow" is actually animated to "pulse" at a pattern. 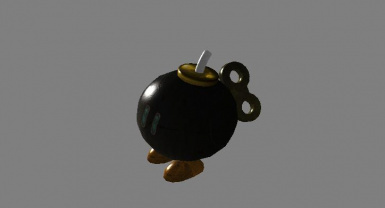 * Outcast's have their own unique weapon called "Shredder grenades". 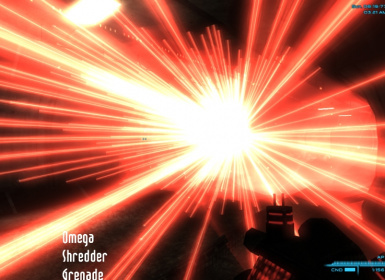 Shredder grenade is a laser emitting bomb that continuously fires off multiple high-powered laser shots until it self-destructs. 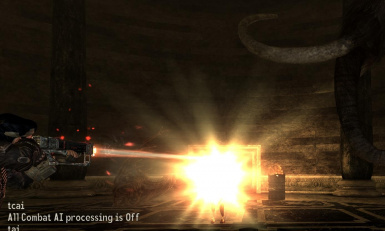 * Strong lasers will leave a special impact that visually shows a thin black animated smolder. * Missle Launcher now has a GREAT looking missle! The tailflame and trail have been re-done. 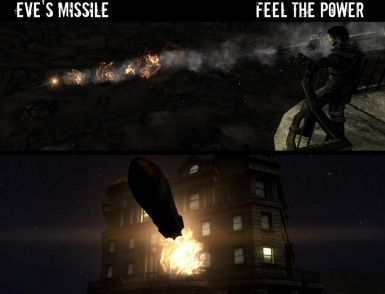 Missles look so real and powerful. 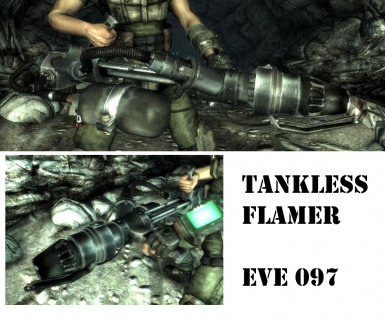 * Flamer's flame has been improved. 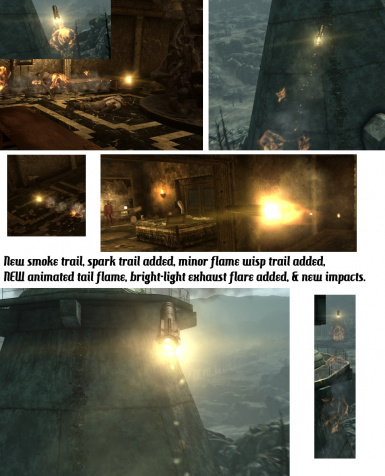 more liquid flame at source, and more sparks fly, as well as a spurratic flame pattern. 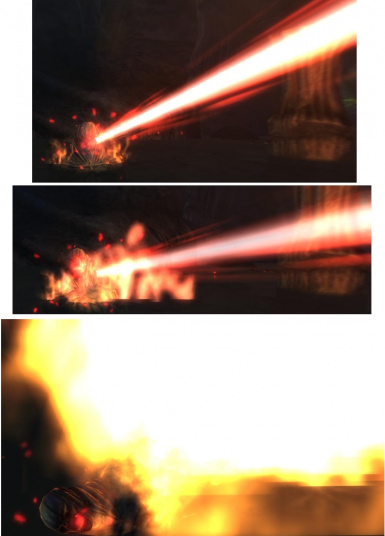 AND when firing you can see a HEAT REFRACT just like fire in real-life. 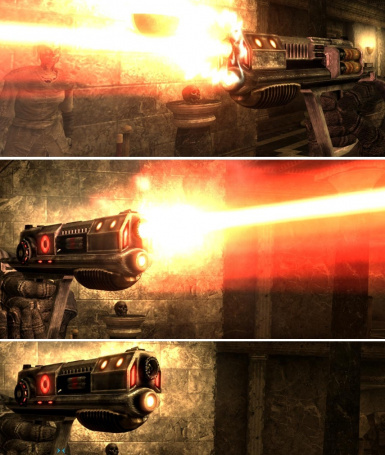 * HeatBlaster and Firefly weapon in FO3 now. 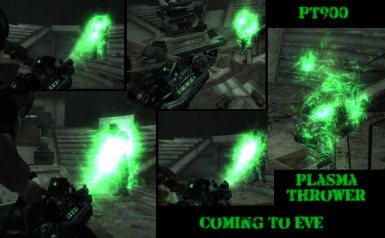 * Plasma thrower (PT900) is introduced. 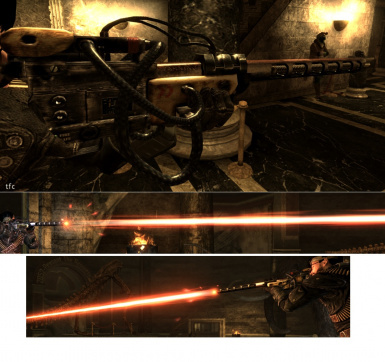 Its the "big gun" of plasma weps. * Custom flamer model with awesome textures and sounds! If you don't have Operation Anchorage DLC, you must use the OLD 3-plugin installer. 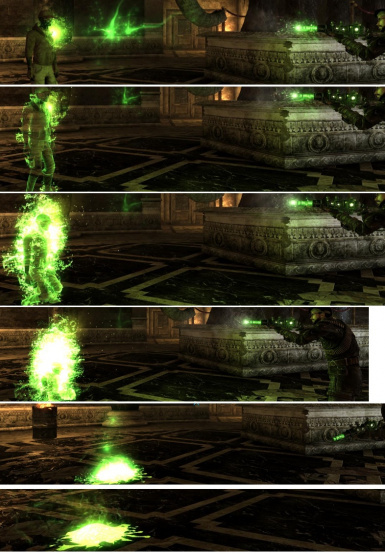 This mod (and most others) requires Archive Invalidation. 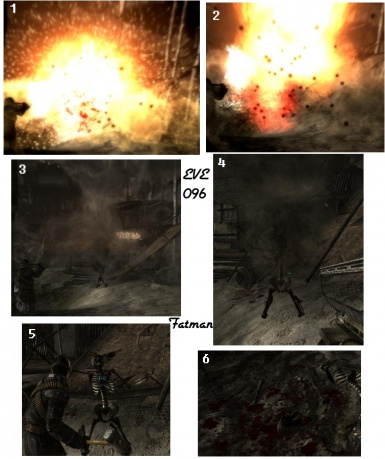 1) download and activate the mod. 1) Extract the downloaded EVE Archive. 2) Put the meshes, textures and sounds folders there into YOUR data folder and overwrite! 3) Put the EVE.esm in your Data folder. 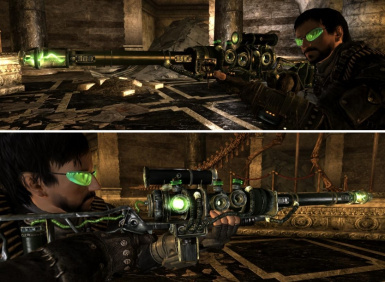 6) Play Fallout 3 and witness energy weapons as they should've been. 1) choose to download the OLD (3-plugin) installer. 2) you'll have an additional plugin to activate, EVE.esp. 3) If you don't have Operation Anchorage DLC, then you must disable/remove EVE-Operation Anchorage.esp or your game will lock on start. 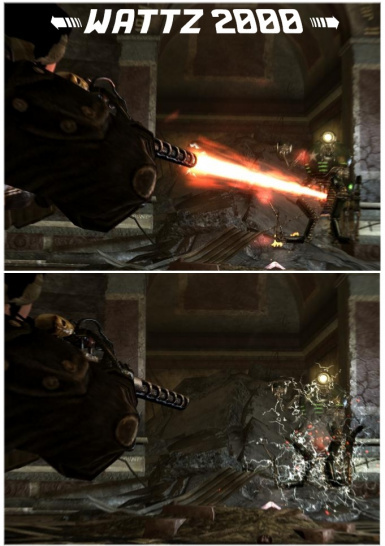 * "Flesh Burning Plasma" mod. * "Tweak mods" Other than Arwen's, FOIP or Blackened could result in "funny-stuff". 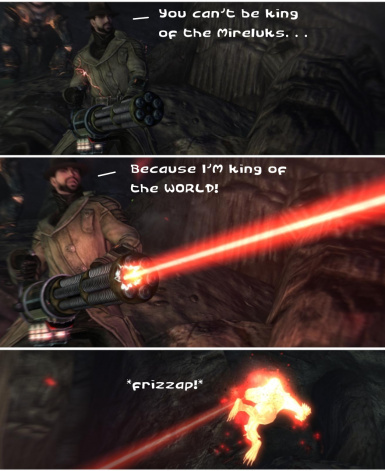 * Any other mod that modifies energy weapons. * FOOK2. 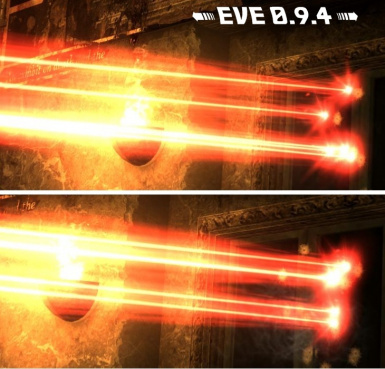 It already contains EVE! * I'm told UWWUT probably won't work well with this. you can use EVE and WMK at the same time. You will NOT get game freezes or CTD. 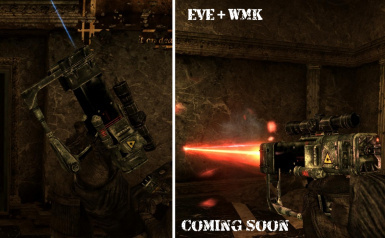 However, when you upgrade a weapon with a weapon mod kit in game, you'll no longer see the textures/mesh from EVE, as it will revert to the WMK model/texture! EVE IS PLAYABLE with WMK simultaneously with no reported "issues" aside from WMK's mesh/texture override. *It is also noted that mixing pineapple beer with EVE has produced various results. If you have any 'issues/bugs', there is a 99% chance that it is MOD CONFLICT. 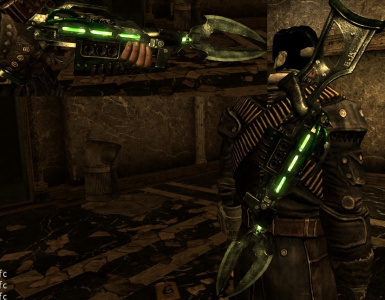 Perhaps get FO3Edit and "master update", or make a merged patch and grab Garybash (The FO3 version of Wyrebash). 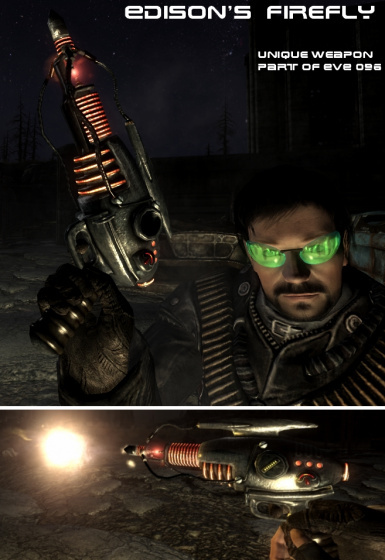 Garybash - Garybash is the Wyrebash clone for Fallout3. By "ESMify" the EVE.esp with Garybash, a multitude of ppl have proven this method to drastically reduce any problems. 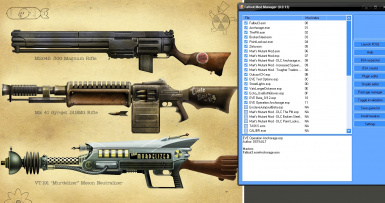 FO3Edit - Fallout3 Edit is a program is has helped thousands of people run lots of mods together smoothly. Get this program and use the MasterUpdate feature. May God help you if you haven't tried this method BEFORE you complain/comment here on my mod. Fair warning. 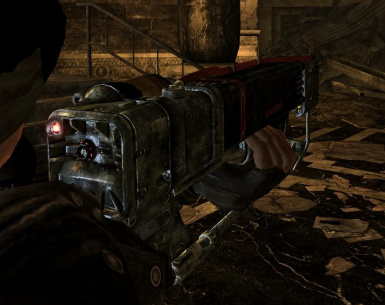 Video Install Guide for Fallout 3 mods This gem will lead you by the hand through the steps to take to ensure you experience no problems while playing your heavily modded FO3. Very concise and clear steps even a n00b can follow! 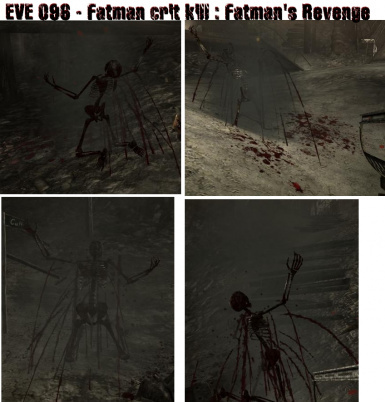 A Feral Ghoul reported EVE did not work for him. It was later discovered that it was due simply to the fact he'd eaten half of his keyboard. There's a lesson to be learned here: refrain from ingesting computer accessories. 1368 A.D. - Ming Dynasty begins. 1644 A.D. - Ming Dynasty ends. 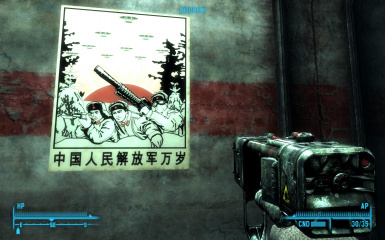 1/10/2009, 11:40pm - Weijiesen Dynasty begins. 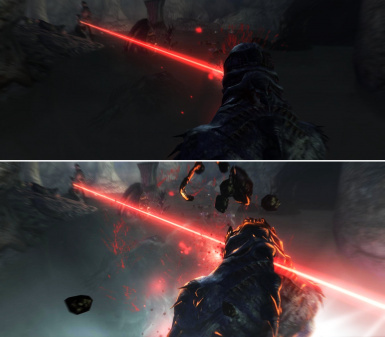 After releasing "Laser Visuals Enhanced", I noticed plasma weapons sucked too. 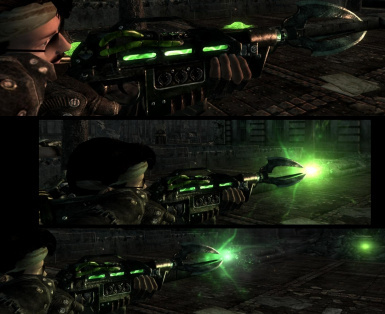 After starting "Plasma Visuals Enhanced", I noticed ALL energy weapons were visually dull, and generally a shame and abomination. 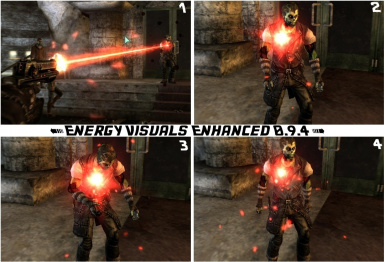 Thus, "Energy Visuals Enhanced" is born. Today - You started reading this sentence. . . and finished it. 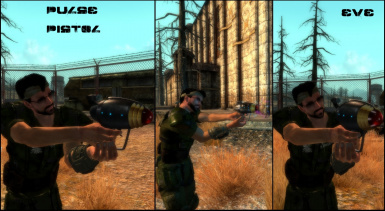 for technical support, questions, or suggestions please use the discussion area of this mod. 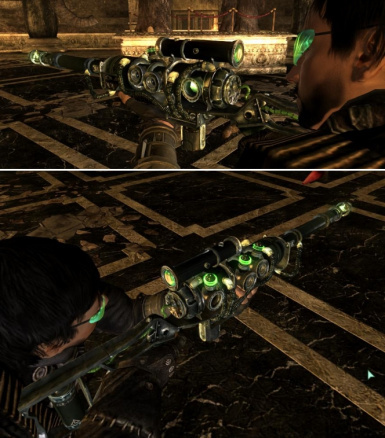 This mod has it all, and then some! 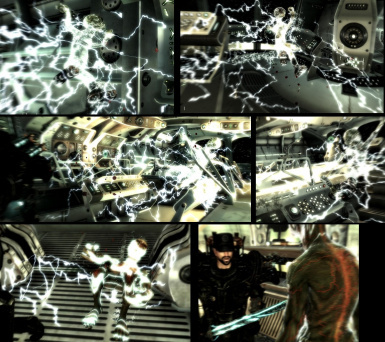 This fantastic (yet waaaay under-appreciated) mod is packed full of HQ goodies! 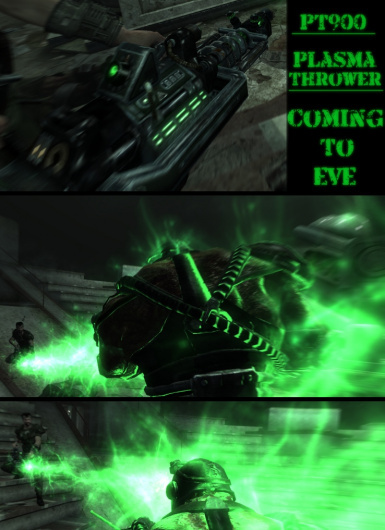 The scripting is nothing short of genius, and the mod goes nicely with EVE. Makes the game play much more realistic, more challenging, and more balanced! 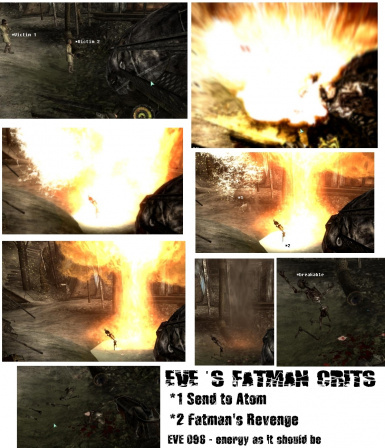 If you are looking for a "tweak" mod thats FULLY compatible with EVE and compliments this mod well, here it is! This mod may appear tiny, but it is a powerful sucker that gets the job done! 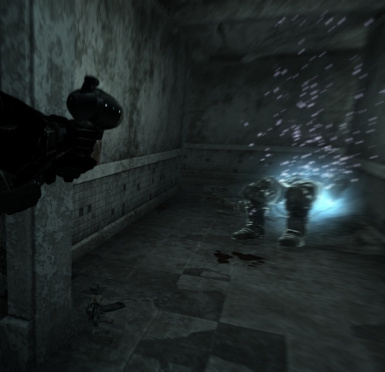 It not only tweaks weapons, but gameplay, armor, and enemy AI as well. I personally keep this mod in my load order at all times. 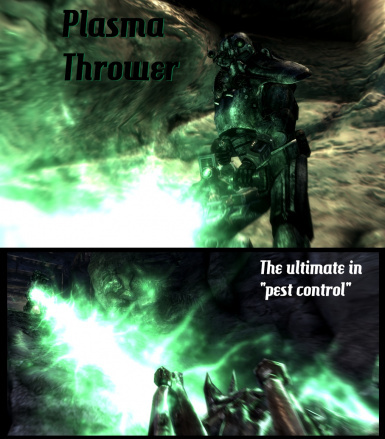 This is another fine high-quality mod from TheTalkieToaster. 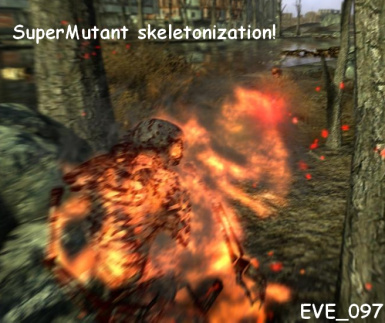 This mod is what the name implies. 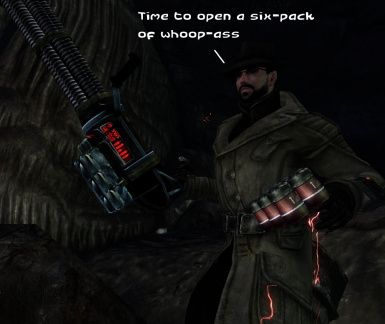 In power armor you are more like a walking tank, and less like a walking tin-foil man. Why do i recommend this? 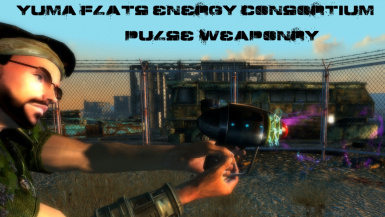 Because while using this great mod, Energy Weapons are key for taking out PA'd baddies! BenWah for the 0.97 easier install repack, texture optimization, mod & doc maintenance. 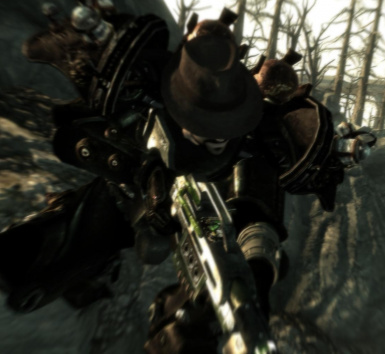 http://www.zazzle.com/fallout+3+hats <-- awesome fallout hats! 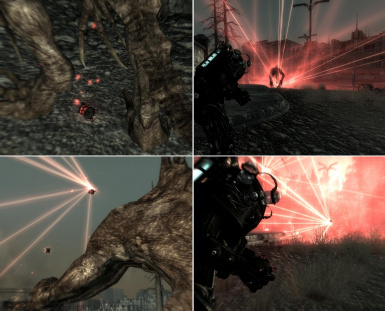 http://bethblog.com/index.php/2009/08/24/modding-interview-cipscis/#more-4905 <--- Bethesda blog interviews Cipscis! Pipino's Optimizer Textures freeware to reduce texture size without losing quality for Benwah's 0.97 install repack.